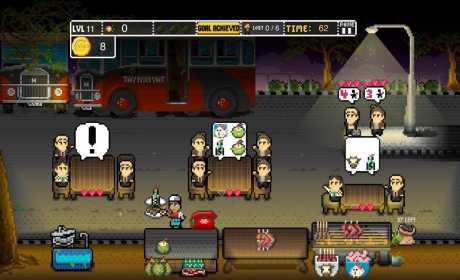 Play as one of the satay men of “Satay Club”, a popular eating place located at Beach Road in the 1940’s. Relive the old days of Satay Club where you get to experience the business of cooking and selling satay and immerse yourself in the charming old style atmosphere that had made the first Satay Club a popular eating destination for locals and tourists alike for more than half a century. Experience the thrill of grilling and selling delicious meat on sticks! Learn about and also have fun serving many interesting and eager customers that come to Satay Club! 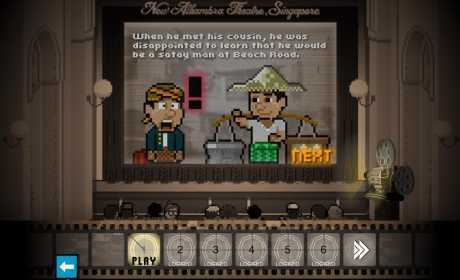 Satay Club is the first Android time-management game featuring the history of Singapore when it was part of British Malaya; specifically from the perspectives of the local satay men who originates from Java Indonesia. 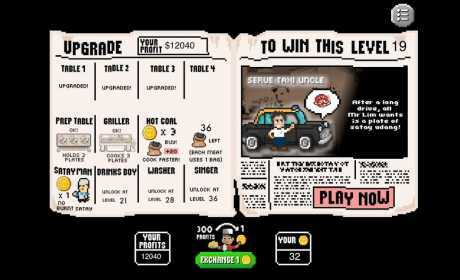 If you love being a manager and manage your own food empire this is the game for you! Soak in the atmosphere and feel the hip and happening scene in the 1940s! As you progress through the game you will be an expert at management and speed will come naturally. It’s all about strategy! Serve your way through 60 fun levels and experience the good old days! All these and more! Download it now!